Things are changing in Sandy. The city just launched a new brand, Transit has gone digital and, just as notably to some, Mountain Moka looks quite a bit different now. For a week, between June 18-25, the cozy, corner coffee shop closed down for remodeling, reopening last week with a crisp, clean look. 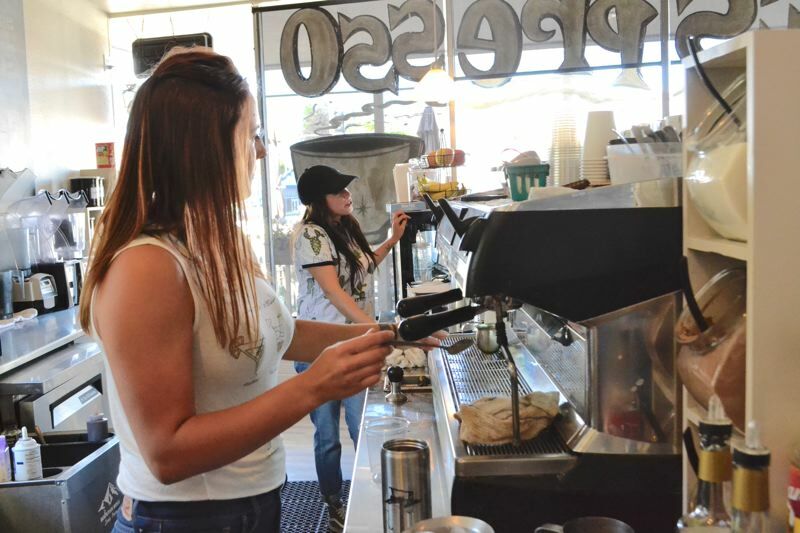 "We say it's a whole new look, but the same great place," owner Tina Hovey said. To the dismay of some, the large black wingback chairs are no more, and gone is the retro-style purple and lime green color scheme, but the menu hasn't changed. You can still get your Mountain Mocha or Mexican Logger in record time on your way to work or sit and enjoy it with a baked good at the shop. Among the renovations were a change in flooring from checkered tile to faux wood. The bar was replaced and moved to "flow better with the kitchen." "We basically gutted the place," Hovey noted. "The main purpose was to make us more efficient. We're not just a little coffee shop anymore. We're kind of becoming a little cafe. We have so many people who sit in here and eat lunch now." If it will put anyone's minds at ease, the checkered tile still lives on below the surface, and the kitchen has retained some quirky charm with lime green walls. Among the things added to the coffee shop's offerings is a new lighted, refrigerated case, to which Hovey hopes to add some fresh salads for purchase. For more than a decade, Marie Teune of John L. Scott Real Estate has worked to help people find a home in Sandy. Now she's working on building a team to help her continue her mission into the future. It will include her son Danny Teune. "I thought he would be a good fit because of his sales and business experience, and he has a passion for helping people," Marie told The Post. "So we decided to team up." Danny is a Sandy High graduate and previously worked for the corporate side of Nordstrom and has years of experience in customer service, which he hopes to utilize to collaborate with and educate prospective home buyers. "I'm excited about him working with buyers first," Marie said. "Every new agent should work with buyers. You are working with such a variety of people all at one time." 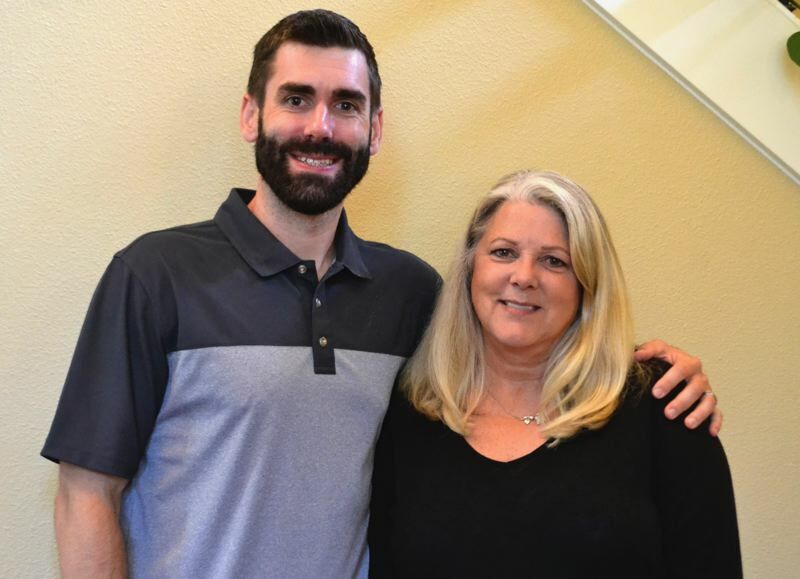 Danny noted that much of why he chose to partner in the newly established Teune Real Estate Group with John L. Scott was to help others in a challenge he too is now facing — finding a home in Oregon. Danny is a Sandy native, but lived for a time in Arizona before recently moving back to the area and is empathetic with home buyers as someone in the process of buying himself. "It's going to be really fun getting back into the community," Danny said. "My goal is to just do my best and grow the business. I'm in the game like everybody else, but I'm excited to support them."